For the second part of our ‘JINS Insider Travel Secret’ series for our #FlyUsToJapan17 Contest, we wanted to highlight the night and food scene by featuring our favorite Izakaya restaurants. Izakayas are casual pubs or dining experiences unique to Japan, and natives often hit up Izakaya spots after a long day at work. 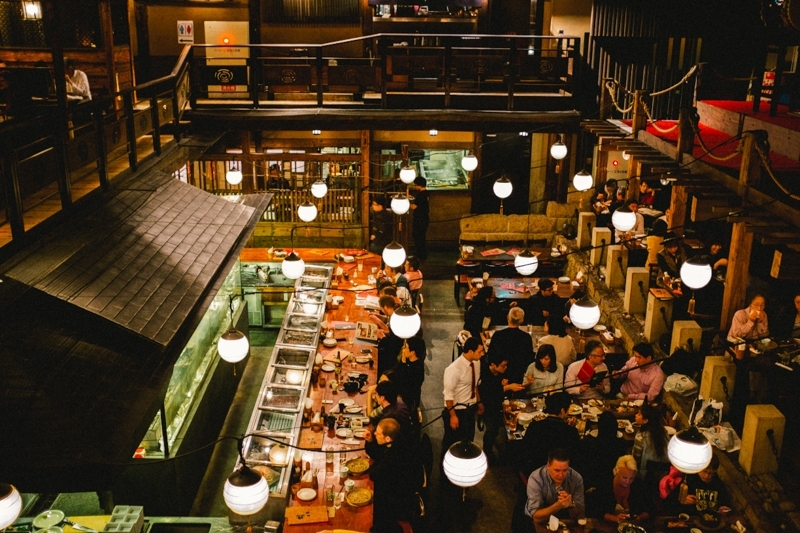 Here, we gathered some popular spots across Tokyo for you to check out during your travels. This hot spot delivers extravagant stage performances with dancers, robots and laser shows. 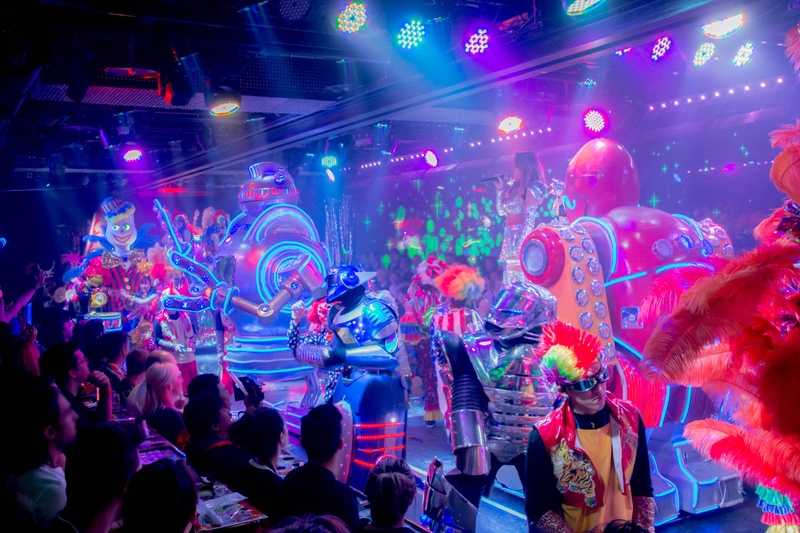 The Robot Restaurant provides an experience unlike any other, and you definitely won’t want to miss out. You can find varying rates on their site. This location is a Robatayaki restaurant that presents a relaxing and sophisticated ambiance that lets you unwind after a long and busy day at the office or in our case, travel schedule. Inakaya offers seafood, meat and vegetables to be made robatayaki style by chefs with a quality sake menu to go with your meal. Did anyone say dining with ninjas? Another themed restaurant, and this one has servers dressed as ninjas who also play the part. 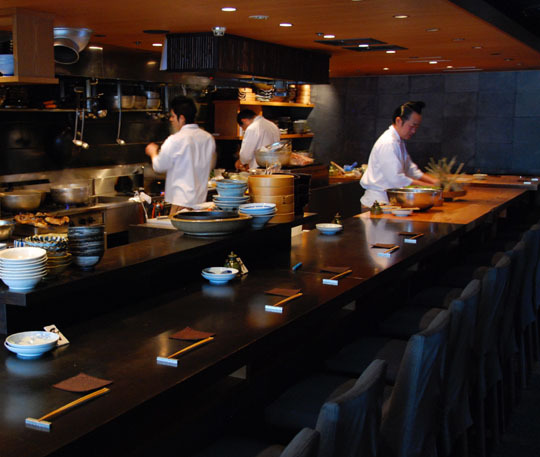 Ninja offers high quality Japanese food so be prepared to spend. Here’s a place that you will mostly find locals coming to after a long day at work. The food is traditional and the mood is more casual. If you’re searching for a spot that gives a more homey feel, this might just be a satisfying experience. Also known as the “Kill Bill restaurant.” This is in fact the very location where Kill Bill Vol. 1’s famous deadly scene was filmed. The food they provide is palatable for Westerners as it attracts mostly tourists, and whether or not you’re a Tarantino fan or a cinephile, you’re still in for a treat.